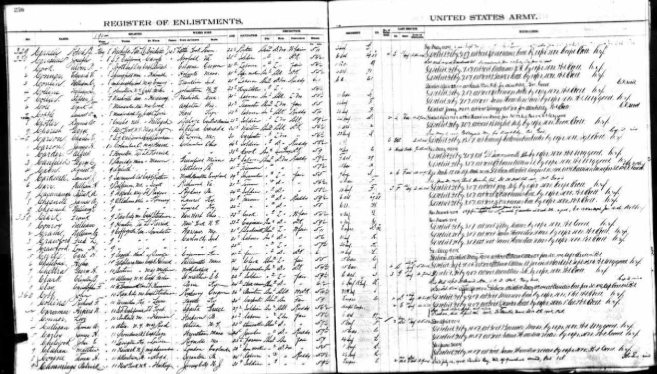 Ancestry.com has a database online that is titled - U.S. ARMY, REGISTER OF ENLISTMENTS, 1798-1914 which has 206 enlistments for men who listed Greece as their place of birth. Note: Some of this information can only be obtained by viewing the register image. Also, the register images are usually two pages long. When viewing an image, be sure to scroll all the way to the right in order to see all pages that are part of that record.